We ladies love our bourbon around here, so we’re kicking off happy hour (and taking advantage of peach season) with this refreshing twist on a mint julep. 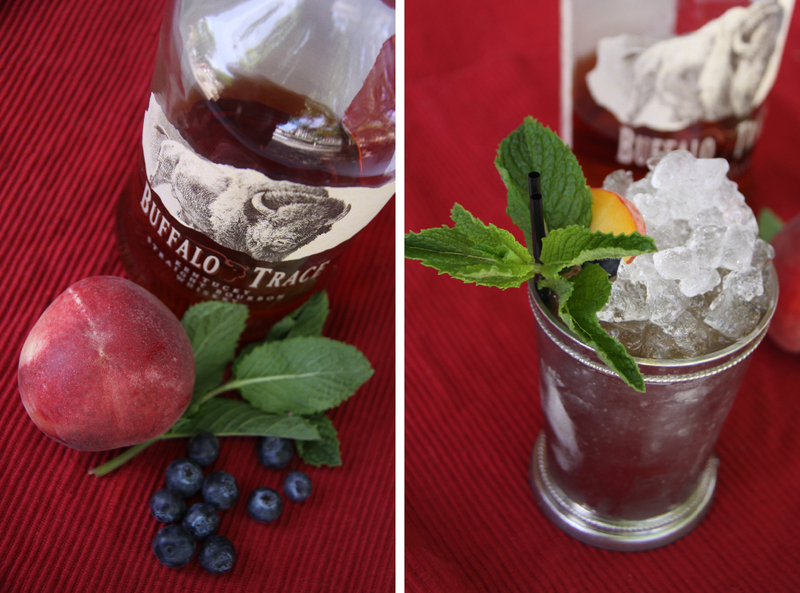 Muddle mint, blueberries and peaches in the bottom of a Julep tin. Add bourbon and crushed ice. Stir. 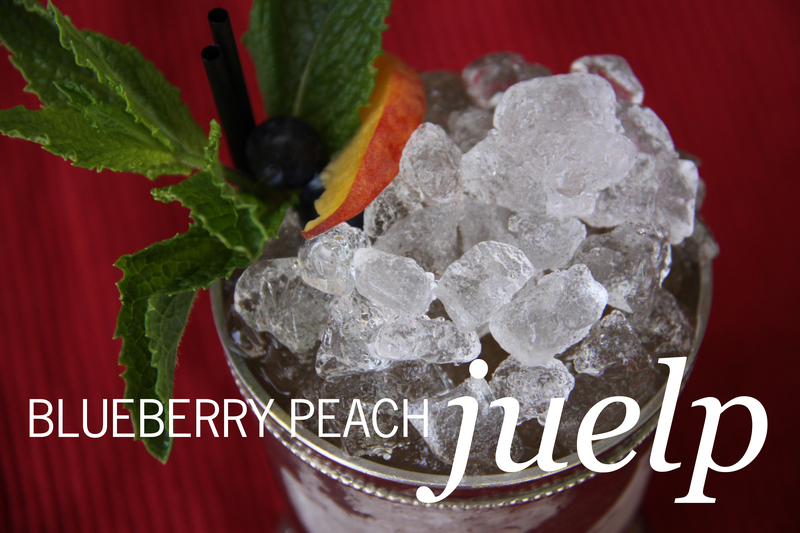 Top with crushed ice and garnish with mint, berries and peaches.